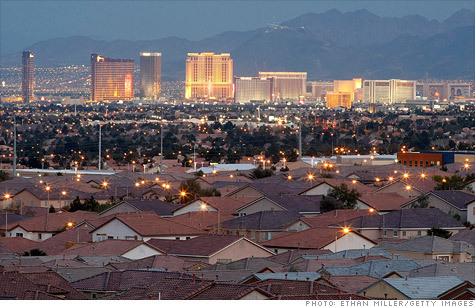 Las Vegas home values continue soaring faster than the country at large and should outpace the nation for the next year. The valley’s median home value last month was $156,600, up 2.8 percent from July and up 30.6 percent from August 2012, according to a new report from housing data firm Zillow. Las Vegas’ month-to-month increase was second fastest among the 30 metro areas covered in Zillow’s report, with Riverside, Calif., leading at 3 percent. Its year-to-year jump also was second fastest, to Sacramento, with 34.1 percent.